A study by a Triangle civil rights organization suggests Johnston County public schools are segregated and more needs to be done to address the diversity issue. 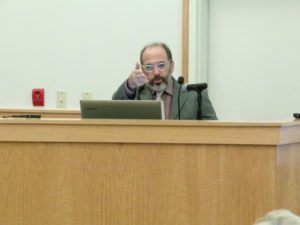 Mark Dorosin with the Julius L. Chambers Center for Civil Rights in Carrboro presented the findings to the Smithfield Town Council during their November 6th monthly meeting. Despite gains in interracial contact between African American and white students from 1954 to the late 1980s, since the early 1990s, the report claims a distinct resegregative trend has led to public schools becoming more segregated now than they were in the 1970s. 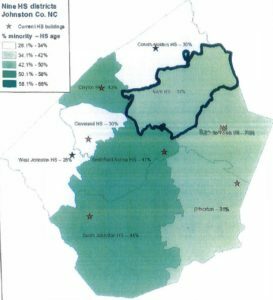 The study looked at the demographic patterns in Johnston County to assess how the Board of Education could revise high school district boundaries to improve diversity, manage growth, school capacity and facilities use. The report highlighted and focused on what the civil rights group contend are critical issues at Smithfield-Selma High School. It strongly recommends new attendance boundaries be drawn for all high schools. The report said the 7-member Johnston County Board of Education includes 6 whites and 1 African American. None of the board members reside in the Smithfield-Selma area of the county. 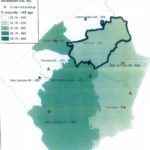 The most recent census shows the population of Johnston County is 67.9% white, 16.5% African American, and 13.7% Hispanic. The population of most school-aged students closely aligns with the population numbers except at Smithfield Selma High and its feeders schools. The white population at Selma Middle is 12.1%, black population 31.7% and Hispanic 54.2%. The white population at Smithfield Middle is 21.4%, black population 28.2%, and Hispanic 44.9%. 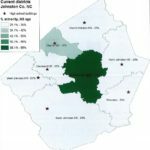 Smithfield Selma High has only 29% white student enrollment, compared to 70% at Corinth Holders High, 72% at Princeton High, and 67% at West Johnston. The district wide average is 56.7%. A disproportionate number of blacks and Hispanics attend Smithfield-Selma High than any other school. 27% of the SSS population is black, compared to only 12% at Cleveland High. 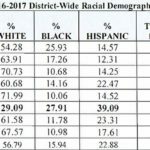 Hispanics make up 39% of the SSS student body but only represent 12% at Cleveland and 14% at both Clayton High and Corinth Holders High. 47.6% of all students in Johnston County Public Schools are Free And Reduced Lunch (FRL) eligible. At Smithfield and Selma Middle Schools, over 80% of students qualify for FRL. Less than 30% qualify at Cleveland Middle, Cleveland High, Riverwood Middle and Corinth Holders High. 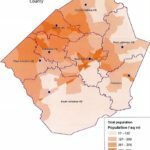 “This uneven distribution reflects a pattern of concentrated high poverty, racially isolated schools in the Smithfield-Selma area,” Morosin said in the report. The Center for Civil Rights report said Smithfield-Selma area schools have among the lowest overall grade level proficiency among students and show significant racial achievement gaps. At SSS, 72.6% of white students are grade level proficient – on par with the higher performing schools in Johnston County and higher than the district average of 64%. However, only 28% of black students are grade level proficient, which is lower than the district average of 40%. Based on North Carolina’s School Performance Grade system that measures both student test achievements and academic growth over the year, Smithfield Selma High had the lowest score of any high school in the county, and Selma Middle of any Middle School. The district graduation average is 92 percent but Smithfield Selma High graduation rates are 87.9%, tied for the lowest of any high school in Johnston County. (West Johnston High also had a graduate rate of 87.9%). In the 2016-17 school year, SSS had 44 students drop out before graduation, twice the number of the next highest school. All schools in the Smithfield-Selma area had a teacher turnover rate higher than the district average of 12 percent, with Smithfield Middle School losing 19% of their teachers in 2017. The study suggested one factor to turnover and retention is satisfaction with working conditions. 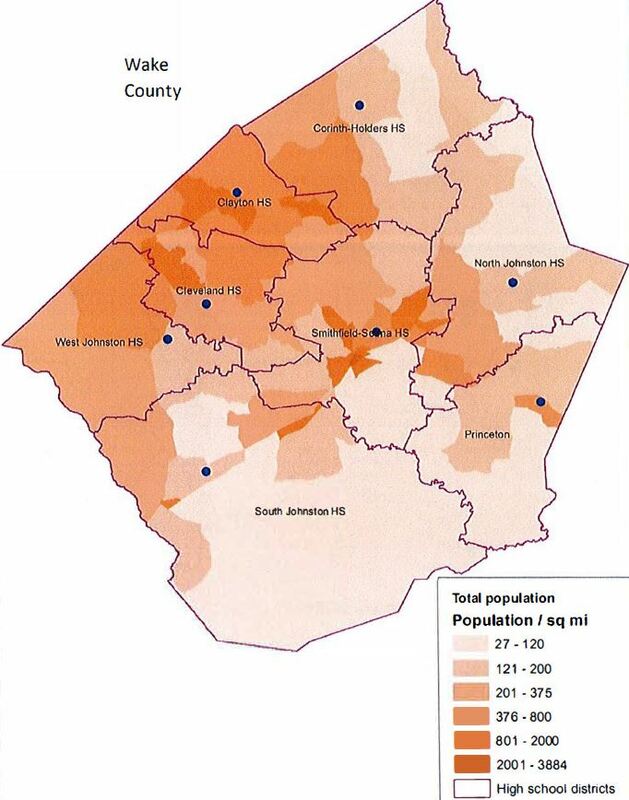 Johnston County Schools is the 9th largest district in the state with approximately 36,000 students. The district grew by almost 20,000 students from 1994-2014, and 13 new schools were constructed during that period. The district has 46 schools: 23 elementary, 13 middle, and 10 high schools. 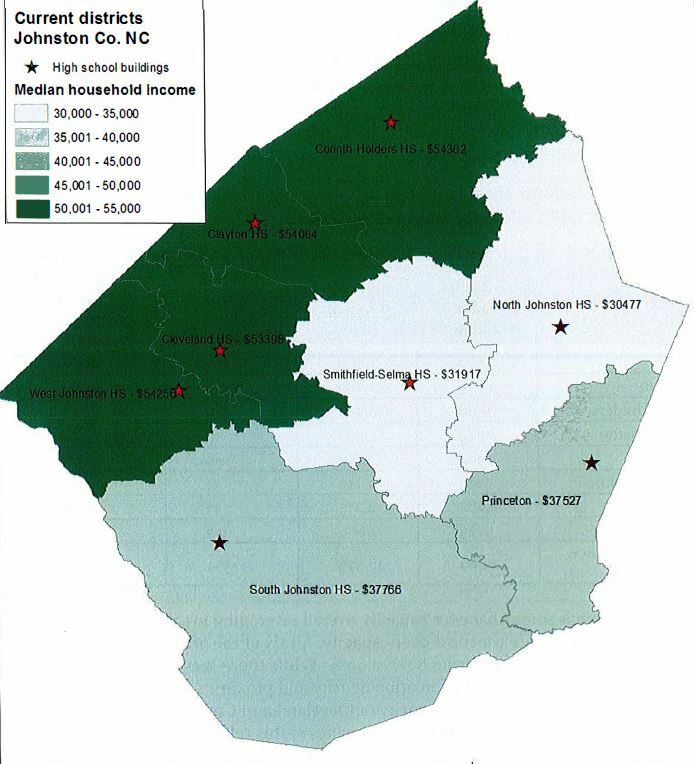 Johnston County was the third fastest-growing county in North Carolina last year, at 2.94%. Its growth outpaced that of Wake County, which was ninth at 2.2 percent. 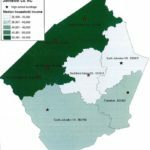 Much of the growth is happening in western Johnston County. The median list price per square for a home in Johnston County is $114 versus $136 in Wake County. In the Raleigh Metro Area and the City of Raleigh it is $150. 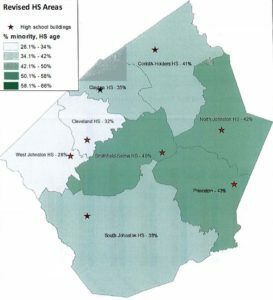 The study suggested the high school attendance areas be redrawn as shown in their map. The study claims Johnston County schools are significantly out-of-balance in relation to racial and socioeconomic demographics, attendance versus capacity, and residential assignment in attendance areas. Combined, all high schools have an attendance of 11,129 students. That is 105.2% of capacity for the 2017-18 school term. The report was critical of the systems modified open transfer policy allowing students who live in one attendance area to transfer to a school in another attendance district. 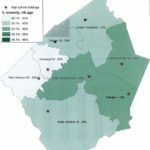 High school attendance areas have not been redrawn since 2010. If all high school age residents attended Smithfield Selma High, the school would be over capacity at 114.3%. Attendance last year was at 83.8%. 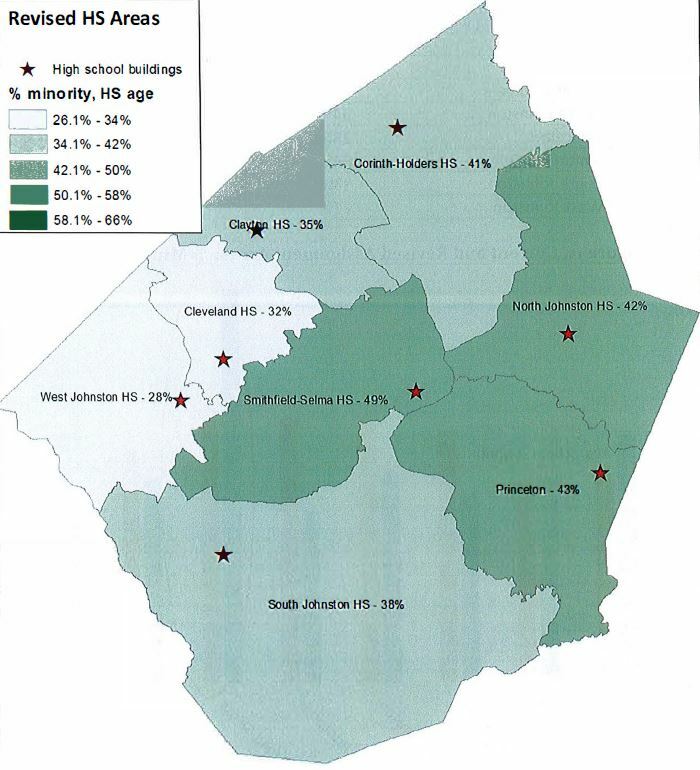 SSS is also the school with the highest percentage minority assignment area. Princeton and Corinth Holders were also considered to be out-of-balance schools. The 38 page report suggests that revising the attendance areas for all high schools will help reduce the minority percentage assigned to Smithfield Selma High, which they contend exceeds a “tipping point”. The Civil Rights Center proposed this new attendance area upon the completion of a 9th high school in Johnston County. “None of this ‘just happens.’ It is the foreseeable and anticipate result of decisions made by elected officials who fail to prioritize the educational and community benefits of inclusion and diversity in schools – benefits that the U.S. Supreme Court has recognized schools board have the authority to pursue,” the report stated. The 38-page report was presented to the Smithfield Town Council on Nov. 6th. The report will be formally presented to the Johnston County School Board during their December meeting. Ronald Johnson was the only member of the Johnston County Board of Education who attended the Nov. 6th presentation. Johnson issued this statement to WTSB and JoCoReport: “During the presentation, several references were made about Wake County Schools and their “diversity” policies. One of those policies consists of busing students to schools outside of their community. If that is where this conversation is headed, let’s just stop right here. I will never support busing students away from their homes, community, and support networks. The groups proposed new high school attendance areas.